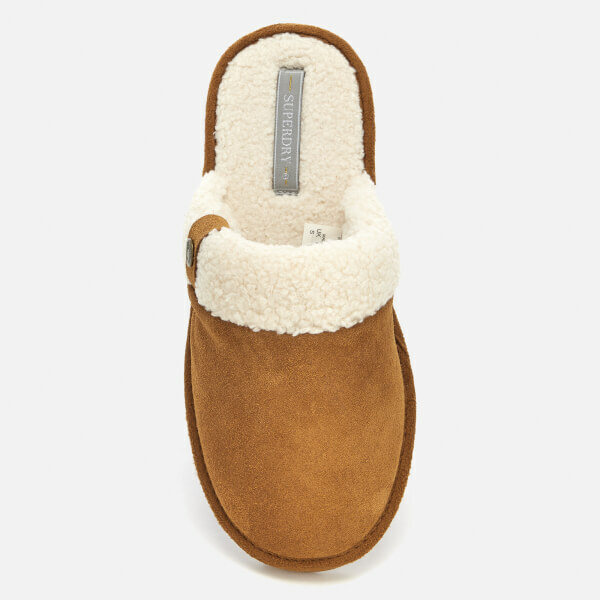 Women's suede slippers from Superdry. 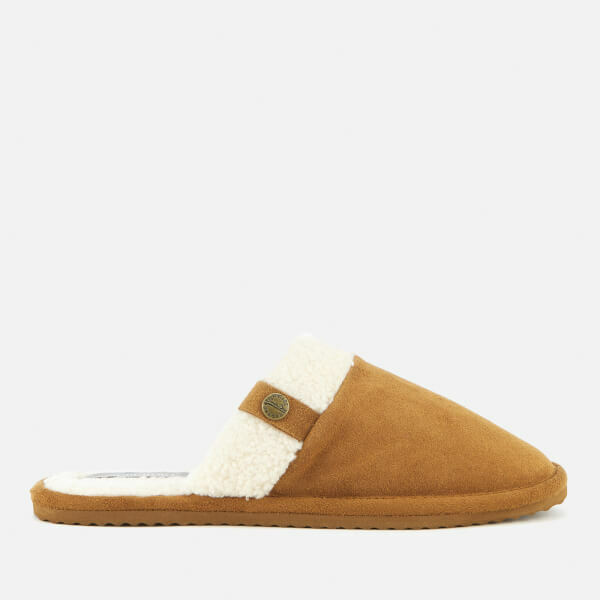 Crafted from tan suede with a fleece collar, the 'Premium' mule slippers feature a rounded toe and Superdry branding to the cuff. 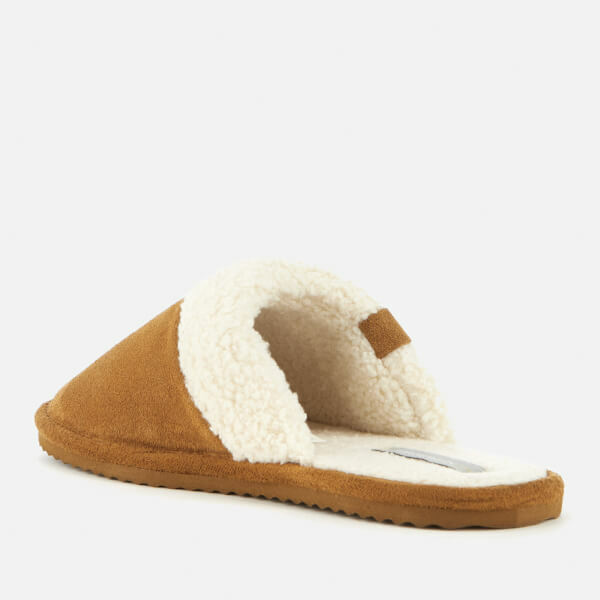 Lined in fleece and complete with a corrugated sole for grip. 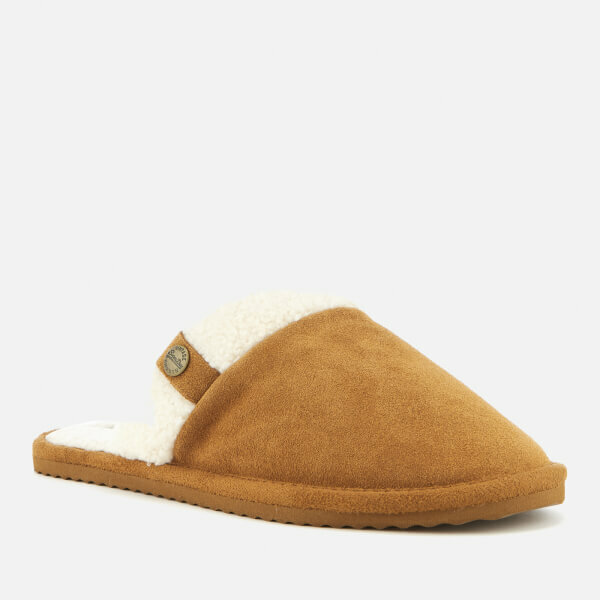 Branded sole. Upper: Leather. 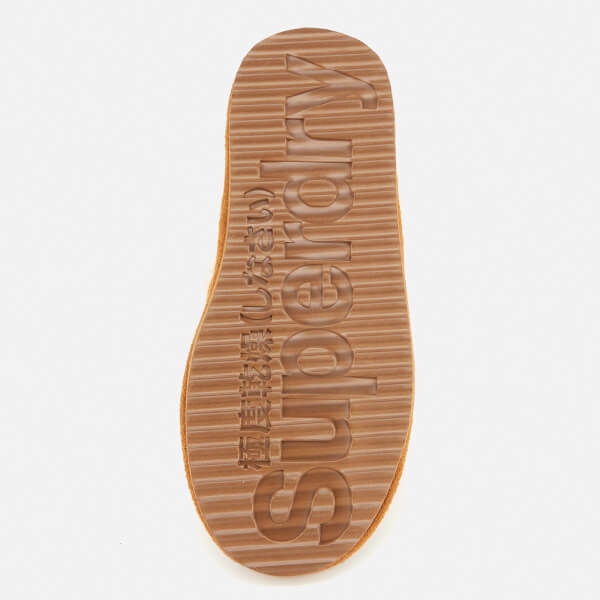 Lining/Insole: Polyester. Sole: EVA.